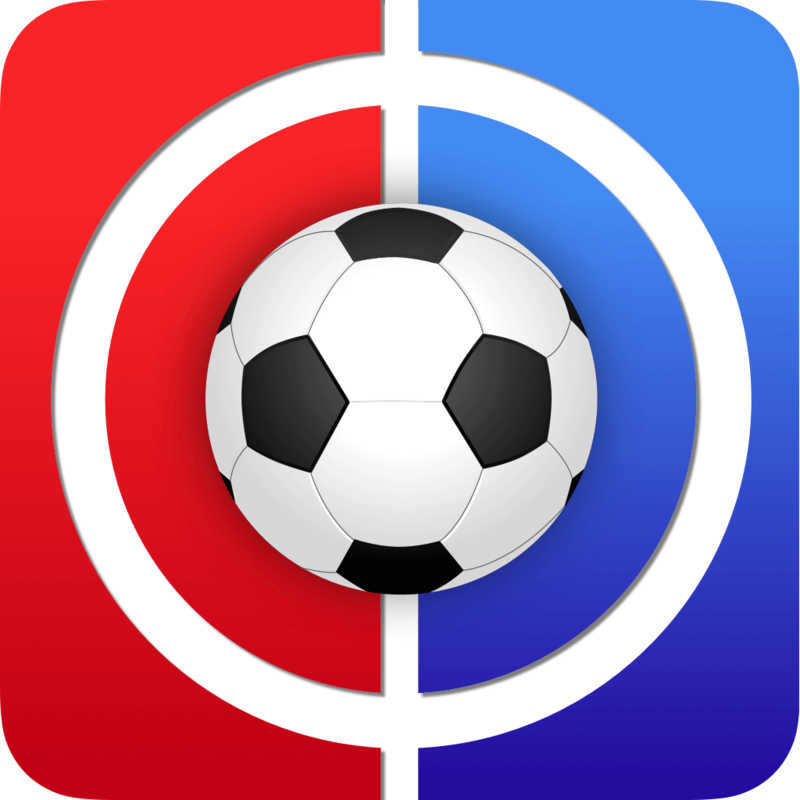 Hello everyone and welcome to Fantasy Football Tips Gameweek 4. It’s been a long time since I’ve done this – writing for this site, that is. But I think I’ve got my hands properly on the home row of the keyboard, and I think that I’m ready to add unnecessary letters to common words again. All that’s left to do now is to just do the work. Here’s the thing though, the work ain’t easy this year, is it? Just look at the league table. Granted, it’s a limited sample size, but just look at it. If you’d have bet that Watford would be Top 4 going into September, you could’ve made yourself a nifty little profit there. And West Ham, seemingly buying some key pieces to bolster their squad, sit dead last. C’mon. The only thing that even makes sense anymore is Everton sitting squarely in 8th place and United sitting in 13th (because we all knew that Mourinho was bound to lose that locker room). How do I craft an article out of this madness? Looking past all of that and into the players themselves, Mitrovic is tied for points with Kun, Etheridge has saved a couple of penalties (and even though he has skill, we’ll still all shun him for his upcoming schedule), and the template players are actually performing to their expected levels. So yeah, the work ain’t easy this year. I should’ve called in sick. But even if I had called in sick, they’d have goaded me into drinking DayQuil…and we’d really have a mess of an article on our hands at that point. Well let’s get on with the tips then. You can mock my decision making in the comments section. Like I said above, even though Neil Etheridge is the leading point-getter for keepers, you can’t really tip the lad. Even though his team will probably put him in more penalty positions than he’d like, he has shown some aptitude for choosing the right way in those situations. No, you’re probably better off just going template here and getting Ederson in your team. I know, I don’t like it either. I’ve had Ederson from the jump in my team, and I kind of feel dirty for it. 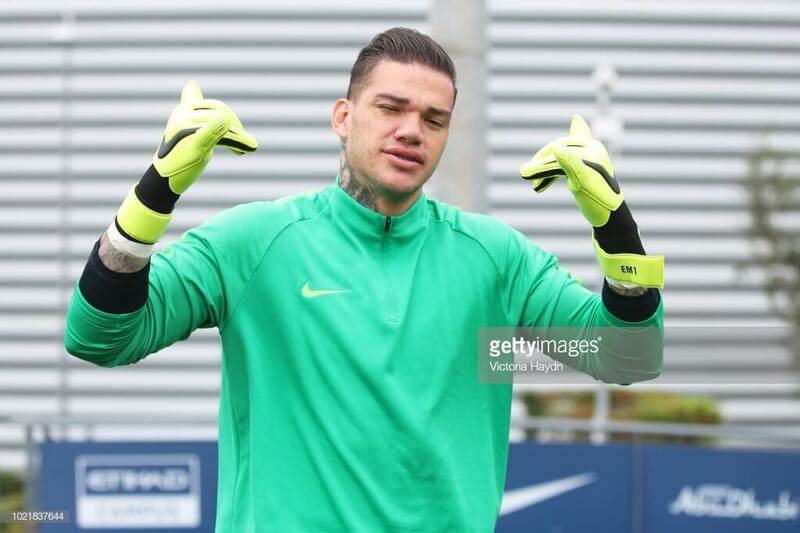 Ederson just looks like that guy you’d hope your daughter never brings home. He looks the sort that tries really hard to continually be edgy and hip. He’s the kind of guy that would tell you that he loves The Ramones, but deep down you know he has a Limp Bizkit playlist that he plays constantly when nobody else is around. And that just won’t do. But, as long as City have their cakewalk schedule ahead of them, you really can’t not have full representation from their team in your squad. Also a good shout: Alisson. Now everytime I hear his name I automatically play ‘Dude looks like a lady’ in my head – but with a name like that, it’s simply unavoidable. Liverpool are the last team in the league that are yet to concede a goal, and even though they’ll concede here eventually, they’ve at least proven themselves to be well-rounded enough to deserve the top spot in the table. Liverpool will play Tottenham and Chelsea away here in coming weeks, but they have the goods to keep opponents frustrated in attack. Finally, based on fixtures alone, look to Kepa if you’ve already got your allotment of Liverpool and City players. Chelsea will play a great run here against Bournemouth, Cardiff and West Ham – and matching up Kepa with Alonso could return a bonanza of points. Speaking of Marcos Alonso, the coaching change at Chelsea didn’t slow him down like many of us hoped it would. Alonso is the leading FPL scorer, and there’s no sign that he’s slowing down any time soon. It’s almost annoying at this point that he’s another template must-have type of player…but he is. Let’s just move past it and call it as it is. You almost can’t afford to not have him right now, especially with this run of fixtures coming up. Jose Holebas is the cheap defender that everybody should be considering. He’s already racked up 4 Bonus Points, and as long as Watford are playing out of their skin, he’s worth a shout. Buying him gives you the potential for good returns whilst letting the rest of your team enjoy a bit more of those limited funds. Granted, he’ll play against Spurs and United in back to back weeks, but even if he’s bench fodder for the Spurs game, United aren’t really that much of a threat at the moment. They’ll continue to toss games until Mourinho is ousted. Lastly, if you’re having trouble fitting in Mendy, Alonso and Andrew Robertson, try to switch over to Joseph Gomez from Liverpool. He’s a full 1.0M cheaper than Robertson, and he’s still getting all of the same clean sheet points. You will see a drop off in Bonus Points with Gomez, but he did manage to snag a pair of those in this last GW – so maybe the switch won’t be the worst thing in the world. 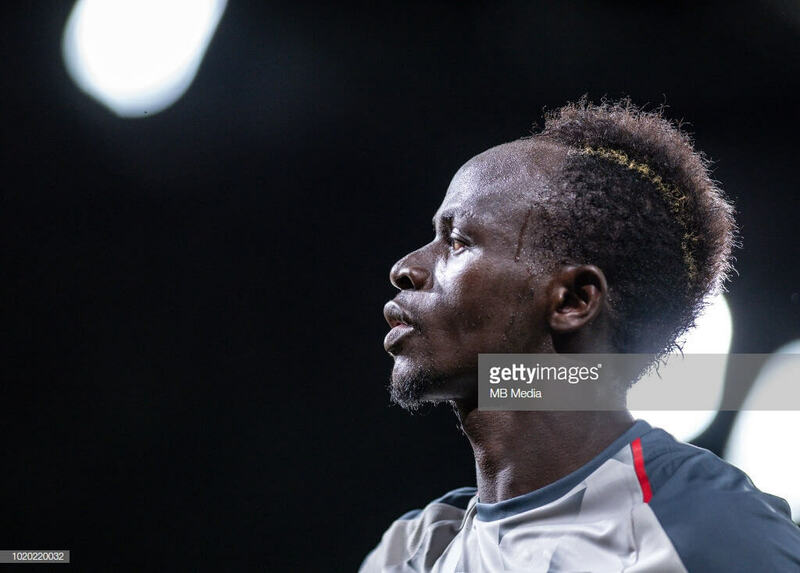 Sadio Mane is the midfielder we should all be talking about. If Salah is a given, many managers will be faced with doubling up on the Liverpool mids or moving in the direction of one of the Silvas or Hazard. For my money, I’m sticking with Mane until Liverpool show that they aren’t the most well-rounded team in the league. People may hang their hats on City for that title, but if an Everton fan can admit that Liverpool have the goods… Let’s just say that it pains me to see Liverpool doing so well, but I can’t deny the talent and team structure. Eden Hazard is picking up steam with his full reintroduction into the team. But like I said, he now comes with an either/or tag attached to him. At his current price (10.6M), you’ll have to drop all other big names from your midfield, aside from Salah, to accommodate him. And that’s no small ask. With Mane being the leading scorer from midfielders, and being owned by nearly 40% of all managers, Hazard will be your differential play at sub-15% ownership. That’s almost crazy to say, but it’s true. If you pick up Hazard now, you’ll be going against the grain and the established template. It could pay off huge, but just know that any blank on Hazard’s part will hurt you doubly in this case. I think he’s worth it, he is Hazard, after all. But in this current landscape, you have to be absolutely sure he’ll produce more than Mane playing alongside Salah. Tough call, but nobody could fault you either way. For a value pick, Roberto Pereyra is absolutely crushing it right now. Coming in at just 6.2M, he’s second for scoring amongst all midfielders, and he’s barely at 10% ownership. 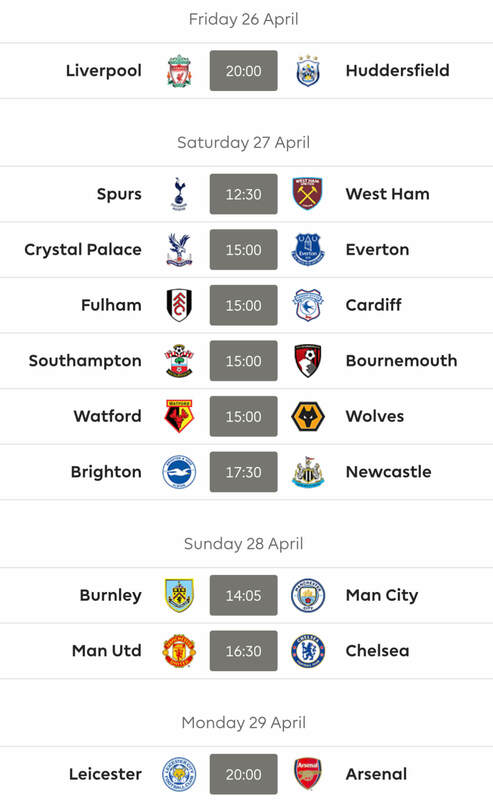 He does have the tough Spurs game coming up, but Watford’s schedule looks pretty clean in the weeks afterwards. He’s one to pick up and keep for a while – kind of like we all hoped to do with Richarlison. This is where things really get tricky. Mo Salah is the most expensive player in the game, and he’s owned by 54.8% of all managers. If you’re reading this article, chances are you care about your team enough to know that you have to have Salah. So you know full well how quickly funds are starting to constrict your lineup choices. 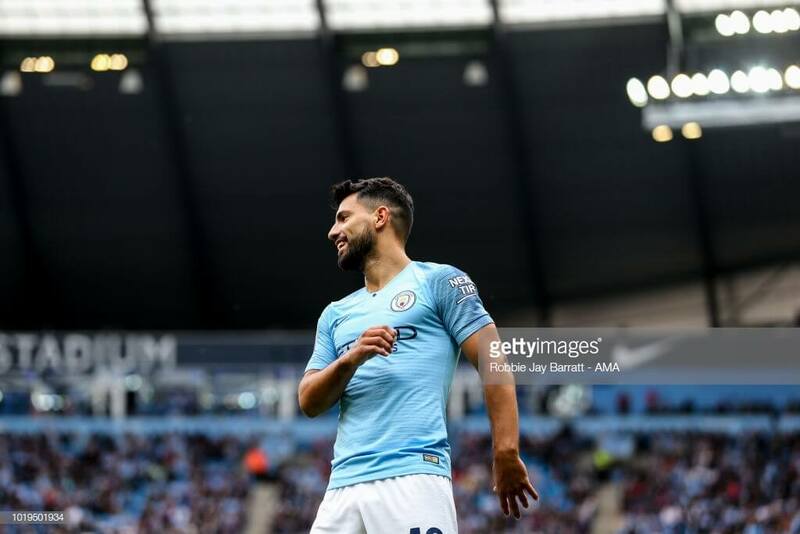 Now, to go along with Salah, 48.0% of all players own Kun Aguero – and those two alone will cost you just south of 25% of your total budget at the moment. Now, how much risk are you willing to take upon yourself? If you play it smart, you’ll own both Salah and Kun and find your differential points elsewhere. If you’re truly mad, you’ll have dropped Salah and loaded up on premium strikers to go along with Hazard and Mane, perhaps. If you’re only half mad, you’ll have considered dropping Kun. But when you see ownership percentages like these, you’re playing against the House. And what’s the old line? “The House always wins”. We’re in a ‘wisdom of the herd’ situation here, and breaking from the herd isn’t going to do you any favors. If half the game owns Kun outright, you have to own him too. This isn’t like previous years where all of the big strikers were between 25-35% ownership at any given time. This is different. For now, based on his price, you have to own Kun and forsake Kane, Aubameyang and Lukaku. Maybe those last two aren’t even appealing at this point, but their pricing should let you know that they needn’t even be considered. Now that you have Kun to protect yourself – what does that leave you? Well you probably have 12-16M available for two other forward spots depending on how much you spent in your defence. So you’re looking at some serious value plays to make this all work. Lucky for you, the value plays are actually paying off this year. Aleksandar Mitrovic comes on at 6.6M, leads the scoring with Kun, and is only owned by 10% of players at the moment. 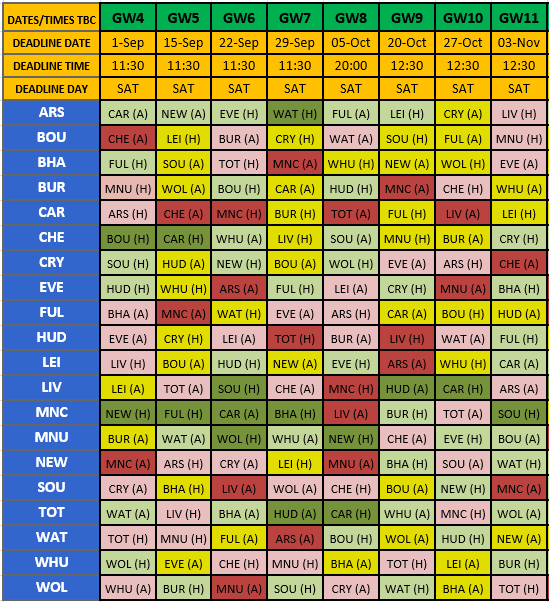 Outside of playing against City in GW5, Fulham have a schedule that should see Mitrovic stay on the goals. He’s already scored 3 and given an assist in his first three appearances – and he’s played 90 minutes in each of those games. He’s an easy pickup if you’re looking to allocate your funds to the must-haves. Moving down a bit further in the scoring charts (though not much further down), you’ll have to decide between Callum Wilson and Troy Deeney. Both come in fairly cheap around the 6.0M mark, but Wilson has done some serious work with a pair of goals and three assists to start the year. Of course, nobody would blame you for going Deeney over Wilson…because as we all know, as soon as you personally pick up Wilson, he seemingly returns 2 points per game until you drop him again. Every single year. And if buying up 6.0M forwards in tandems isn’t really your thing, you could always bump up a bit and get Roberto Firmino. The thing with Firmino is that we all know that he’s due to get on the goals instead of just being the assist man – but to this point, Liverpool are running smoothly, so it would be weird for him to get selfish all of a sudden and ruin what’s working. I’d find money to get Mane before Firmino, but I understand if you just can’t stomach such a cheap forward line – even if the template currently demands it. Like I said, mock me if you like. I don’t like this template anymore than you do. But math is math, and the end result bears repeating: The House Always Wins. Now, Kun is the Glass Man, and there’s no guarantees that Salah will stay fully fit for the entirety of a season either – so the template is only necessary until one or the other finds his way to the infirmary. But for now…go against the grain at your own risk. Wan has a good chance of a clean sheet.